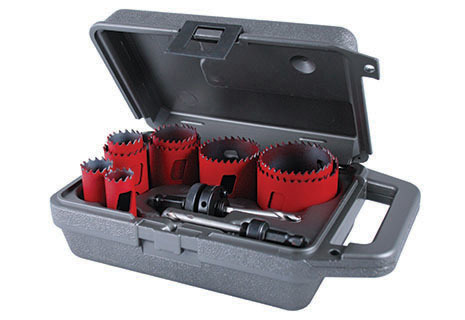 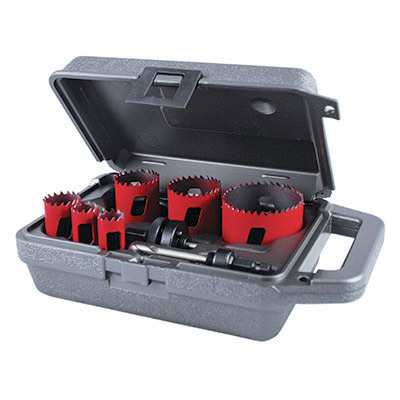 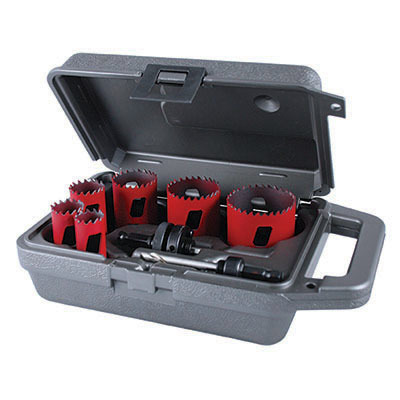 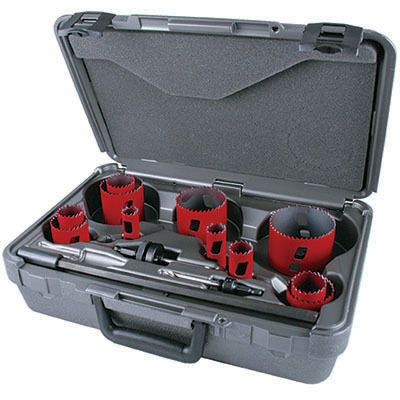 These handy hole saw kits conveniently organize and store the sizes pros need within easy reach. 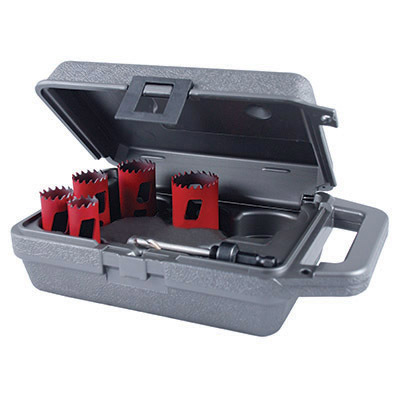 For cutting in wood, nail embedded wood, ferrous and non-ferrous metals and plastics. 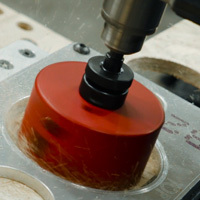 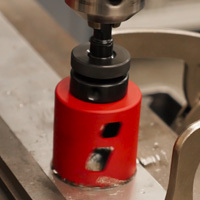 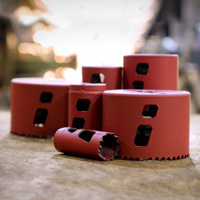 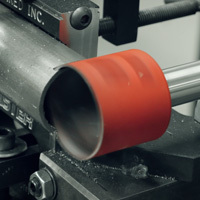 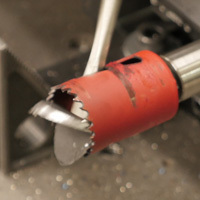 Cutting depth is 1-15/16˝ (49mm).